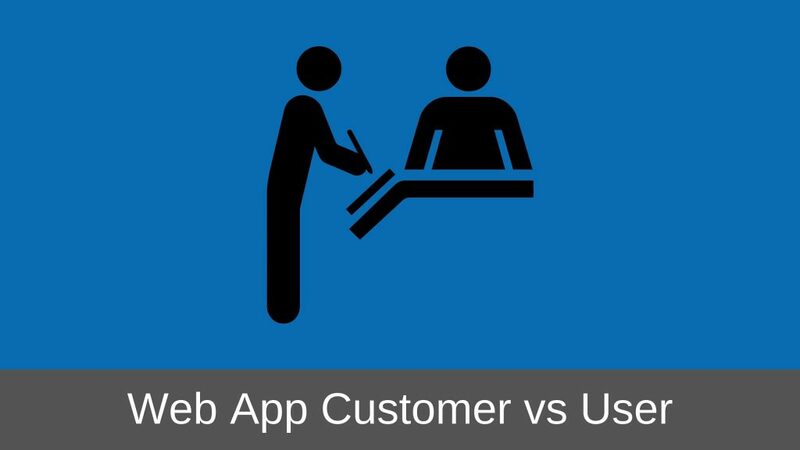 Yes, there is a difference between a customer and a user of a web application. Not always, but in many cases. So what do I mean by a customer and a user? Customer is someone who buys your web application to solve a problem or to complete a task. User is someone who actually uses or works with the web application. Customers are generally your clients or companies for whom you are developing the web application while users are the employees of that company who will actually work with your application. As I learned the hard way, there is a lot of difference between the expectations of a customer and a user. I had previously talked about how I once designed the document management system over here and here. After talking to the client for the first time, I thought the task was quite simple. We just had to design a repository in which the users can store their digital files. Atleast that was the impression I got after talking to the client, the “Customer”. In subsequent discussions with the other employees of the client, the so called Stakeholders, it became apparent that the expectations of the employees, the “Users” were different. The users wanted that apart from storing the digital files, the document management system should also let them categorize the files, store them for personal or public view, create annotations in the files etc. All of these needs were driven by their business needs or rather their day-to-day activities that they carried out within the company. The higher management, who was responsible to pay for the application, obviously was not aware of the day-to-day activities of the employees and thus had a slightly different expectation from the web application although they understood what was needed in general. What we need to understand is the fact the many times the expectation of the customer is going to be different from the expectations of the actual user of the web application. Who should be given more Importance, Customer or User? Before I get down to answering this question, I need you to understand that a great web application design is the one that satisfies the need of the actual user. If your web application does not do what the user wants it to do then the user is bound to feel unsatisfied and frustrated. Now, having said that, it is your job to bring the expectations of the customer and the user at the same level. If you find the expectations of the users are different from that of the customer, you need to talk to all the stakeholders involved in your project so that all of them agree on what the web application should and should not do. You should give importance to both the customer and the users, but when it comes to the actual design of the web application, you should give importance to the users. If you have been designing web applications even for a small amount of time, you would have heard the importance of creating user personas. But this is where I have found many people go wrong. They create the personas of the customers not the actual users of the web application. This is more common when the web application being developed is something that can be sold to many customers and is not developed for one specific customer. It is a common practice to create the profile of the person who would eventually pay us for the application and not of the person who would actually end up using the web application. Customers of a product are always not the Users of the product. So, do not make this mistake. Apart from creating the persona of your ideal customer, you should also create the persona of the actual user of the application. The persona that you create of the actual user will be the one that will of immense help when you sit down to design your web application. What I just said, did it make sense to you? Customers are always not the end users of the web application. While it is good to understand the expectations of the customers, it is even more important to understand the expectations of the end users of the web application. The needs and the expectations of the users; not the customers, should drive the design of your application. Spot on! We have a Mobilr App that does not show the User (Salesperson) what to do. The setup is clunky, and there is no push notifications. The the Customer (Manager) it serves their purpose. As a result, we have a very low login rate. I am to present my ideas to the Company on how to increase this, and any facts about Sownloading from an App Store or push notifications, would be greatly appreciated.